What girl wouldn't love a fully customizable vapor device? There are tons of gorgeous gifts for female vapers out this year that are designed to meet the needs of women everywhere. Slim and nano-sized mods fit their hands better, and colorful boxes allow for fun accessorizing. In addition, touchscreen and LED backlighting offer options for adding a personal touch. There are also plenty of delicious chocolatey and fruity dessert flavors that will bring a smile to her face. Check out our gift ideas for her to see how you can brighten her day. It’s not hard to think of at least one woman in your life that deserves to be treated to a gift she loves, whether it’s your wife, girlfriend, mother, sister, or a friend that comes to mind. Maybe you’re hoping to find her the perfect thoughtful birthday present to show you care, or it’s time to choose a flirty Valentine’s Day gift for the special someone in your life. Even if it’s a “just because” gift to make her day, choosing something that fits her personality and lifestyle is a surefire way to make a big impact. If a special woman in your life is a vaper, or even just interested in trying out the new hobby, there are plenty of options of vape-centric gifts. Maybe she’s brand new to vaping and wants to build up her collection of vape goodies, or perhaps the two of you have put in serious vaping time together. Whatever her vape experience or vape style, the right vape gift can hit it out of the park. The team at VaporFi has put together our personal favorites for a handy Vape Gift Guide for Her, making it easy to shop for new vape products that she’s sure to love. Give her the extra boost she needs to kick her old cigarette habit to the curb with a user-friendly, high-performing vape set-up. The Joyetech Penguin SE Special Edition All-in-One Vape is a high-performing, pod-based device that’s designed with convenience in mind. Efficient and perfectly calibrated for an excellent vape experience, the Penguin SE is lightweight and compact – ideal for her purse or pocket. The special edition mod comes with the JCIV coil system, an internal vertical coil structure combined with a ceramic cradle. An 8 mL pod provides extra-generous juice capacity, so she won’t have to stop everything for constant refills. It also comes in a series of sleek metallic colors, including a pale pink color for a feminine touch. Included in the starter kit are two atomizer heads, a cartridge, and a charging cable. The SMOK Stick X8 Vape Starter Kit is an excellent option for making the switch from smoking, because it combines easy use with satisfying performance. Included in the kit is the SMOK X V-8 Baby Brother tank, a perfect complement to the Stick X8 to create the voluminous, flavor-packed clouds that will make her a vaping convert. It’s a high-powered setup with a 3000mAh internal battery, as well as a 4 mL juice capacity that’s just the right size. One of the major benefits of the SMOK Stick X8 is its slim shape, which fits comfortably in her hand and makes the transition from cigarettes that much easier. If she’s going into vaping with high expectations, the Vaporesso Revenger X 200W TC can definitely measure up. The advanced OLED screen is sleek and useful, displaying all her vape stats and settings at a glance. Two 18650 batteries power the device to a max of 220 watts, with vaping options including a temperature control mode and smart wattage. She will have a wealth of vape styles at her fingertips thanks to the Revenger X’s advanced design, making it enjoyable to design her perfect vape session. The ultra-modern look comes in a series of vibrant accent colors, including a sleek rainbow option. One of the best ways to kick a longtime cigarette habit is to switch to a traditional e-cigarette, which provides nearly the same experience without the harmful tar, ash, and toxic chemicals. The VaporFi Express looks and feels just like an old-school cigarette but offers an entirely new experience. With the 2-pack of batteries, she’ll have the power she needs to get started right away, and plenty of battery life to experiment with options for vape juice and pre-filled cartridges. If she’s put in plenty of vape time already, she might be ready to take her vape experience to the next level with an upgraded mod that offers every feature under the sun. The Eleaf iStick Pico 75W TC MOD might be cute and compact, but its power and performance should not be underestimated. This petite vape mod will fit comfortably in the palm of her hand for comfortable, hassle-free vaping, and is ideal for the savvy vaper who enjoys an easy, relaxing vape experience. A user-friendly setup doesn’t sacrifice on power or advanced features, as the Eleaf iStick Pico 75W TC MOD offers up to 75 watts and options including variable wattage, bypass, TCR, and temperature control modes. Her coil choices are totally open with compatibility for Titanium, Stainless Steel, and Ni200, and the mod’s firmware is easily upgradable. Another impressive creation from the SMOK brand, the ProColor 225W TC Vape MOD puts a fun spin on vaping with its 12 color options and 5 light-up settings, including 3 light-up variations. She can completely customize the look of her mod as well as its performance, utilizing performance features like intelligent temperature control mode and up to 225 watts of power. The anti-slip fire key is a simple design choice that has a big impact on the mod, eliminating any frustration for an easy, enjoyable vape every time. If you want to get her a vape that’s ultra-convenient and high-performing, the super compact Vaporesso Target Mini 40W VTC is an excellent choice. It fits easily into any purse or pocket and is designed for comfort and ease of use. Firing up to 40 watts, the Target Mini is ideal for a relaxed vape experience – perfect for beginners and easygoing advanced vapers alike. Included in the starter kit is the Target Mini Tank, and the setup is compatible with both mouth-to-lung and direct-to-lung atomizer options. Shopping for a woman with a serious appreciation for style? The Tesla Punk Mini 85W TC Vape MOD is a total style statement, featuring a steampunk-inspired design complete with vintage flair and metallic color options. It’s a smaller version of the much-loved Tesla Punk 220, making it a good option for comfortable use and on-the-go vaping. It’s powered by a single 18650 battery, keeping it super lightweight while still supplying plenty of fuel for a satisfying vape. It fires up to 85 watts, which when combined with the advanced chipset, TCR, and taste modes, makes for a high-level vape experience. The VaporFi VEX 75 TC MOD is the perfect device for the advanced vaper with impossibly high standards, particularly one who expects nothing less than perfection from every single vape session. The VEX plays nicely with both temperature control and variable wattage atomizers and has a 510 threaded pin that opens the door for sub ohm vaping and dripping. She will have a nearly endless variety of customization options with the VaporFi VEX, including the ability to add any RDA or sub ohm tank, coil support for atomizers running up to 600 degrees Fahrenheit, and more. Finally, a full suite of safety features ensures that both she and the mod will stay safe and happy through every vape session. A good vape tank is the difference between good vaping and great vaping – any one of these top five tanks is a gift-giving win. When it comes to highly advanced sub-ohm vaping, the Uwell Valyrian is among the top contenders on the market, without question. It’s earned a reputation for the ability to provide both flavor and vapor production of the highest quality, offering three levels of vaping with customizable options including airflow, coils, and a coil pin. With top-fill construction, it was designed for easy, all-day vaping with mess-free refills that require next to no effort. Triple-bottom airflow allows for a wide-open, unrestricted draw with generously-sized air holes. She’ll be able to top off with an impressive 5 mL juice capacity, perfect for long-lasting vapes. SMOK is famous for their high-performance tanks, one of which is the highly popular TFV12 Prince Sub Ohm Vape Tank. True to SMOK style, it’s available in an impressive variety of colorways, looking the part of a high-end tank and backing it up with a worthy lineup of features. The V-12 Prince-T10 decuple coil head has the potential for an out-of-this-world vape experience, supported by 120 watts of maximum output. Though it appears to be a fairly compact tank, it holds a surprising 5 mL of vape juice – which she can bump up to 8 mL with the convex glass addition. One of Innokin’s latest innovations, the Scion 2 Sub Ohm Vape Tank combines a series of impressive features to provide the ultimate in both flavor and vapor production. Precision airflow control makes it easier than ever for her to calibrate her vape, with draw options ranging from restricted to wide open. The Scion is a versatile tank that can fit into nearly any vape style, with features including a removable Scion drip tip, extra coil options, and more. The 3.5 mL e-juice capacity is plenty for all-day vaping, and refills are simple with the top-fill, retractable-top design. Another day, another praise-worthy tank by SMOK – it should come as no surprise that the brand makes a double appearance on our favorite tanks list. The SMOK TFV8 X-Baby may have a sweet name, but it’s a force to be reckoned with in terms of flavor intensity and vapor production. The smart coil design is the secret behind this tank’s top-notch performance, combining with the enjoyably smooth draw stemming from an innovate open-top airflow port for an experience of the highest quality. One of the highlights of the TFV8 X-Baby is that it doesn’t have many of the issues that are all too common with tanks – she’ll be able to say goodbye to leaks and messy, too-frequent refills. Some might describe the Innokin Endura Prism as “cute,” but its advanced performance and innovative features add an impressive element of fierceness to this compact tank. It’s designed for an excellent mouth-to-lung experience and has a slew of desirable features, including an easy coil swap system, top-fill design, and adjustable airflow control. The pre-installed coil head clocks in at 1.5ohms, made from a high-quality combination of Kanthal wire and Japanese organic cotton. Even the best-stocked vape collection can use some premium accessories and high-quality supplies. Anybody that’s ever assumed a battery charger is a boring gift has never seen the impressive, high-tech features available with the LUSH Q2 2-Bay Intelligent LED Vape Battery Charger. Incredibly fast, efficient charging ensures she’ll be back to vaping in no time, with the option to charge a huge variety of battery types and sizes. Independent charging monitors prevent over-charging, utilizing an intelligent shut-off feature to prevent any damage to the battery. The LED display makes it easy to see the charge level, while smart design elements like piano wire springs factor into the charger’s long lifespan. Shopping for someone that has an unfortunate tendency to lose her vaping supplies? Is she constantly digging through her purse to search for her vape and e-juices? If so, the VaporFi TANK Systems Large Carrying Case is a smart gift that will simplify her life and make vaping a breeze. It keeps all her vaping supplies in one handy case, with structured mesh sections to hold even small juice bottles and easy-to-lose parts. The carrying case zips up in one smooth motion to keep everything safe and organized and is easy to spot in any purse or backpack. A glass drip tip is an impressive gift in and of itself, holding the potential to provide an optimal vape experience. The VaporFi Glass Art Drip Tip takes it to a new level with its incredible design, featuring art-inspired designs in four color options. Adding this wide bore glass drip tip won’t just enhance her experience, it transforms any mod into a work of art. Glass is a highly popular material for its ability to provide pure flavor quality, keeping the vapor flavor true to her favorite e-juice. Whether she’s a DIY coil master or just beginning to get interested in trying her hand at coil building, the Coil Tool Kit is a must-have in her vape collection. This kit was specifically designed with rebuildable atomizers in mind, putting the fun back in the coil building experience thanks to its well-assembled selection of handy tools and supplies. It contains everything she needs to build her own coils, all contained in an organized kit – ideal for easy access. Scissors, tweezers, pliers, an ohm meter, wire, and more are included in the Coil Tool Kit, setting her up for easy coil customization from beginning to end. When it comes to a quality battery charger, reliability, safety, and efficiency are among the top priorities for any vaper. The Nitecore Q4 4-Slot Universal Battery Charger checks all the boxes, offering quick and easy charging for 18650, 20700, and 26500 batteries – plus a wide range of other battery types. It monitors each battery’s charge level independently, protecting her from accidental overcharging or battery damage. The proprietary intelligent technology keeps her and the batteries both safe, which is a must for any charging device. Add variety to her vape juice collection and save yourself some serious cash with these awesome vape juice bundles. If she has a sweet tooth – and who doesn’t – the VaporFi Chubby 100 mL Juice Bundle is sure to keep it satisfied for a long time. With a total of 200 mL for all her dessert-style vaping, this vape juice bundle is a great value for the price. It includes two of VaporFi’s top-rated vape juices, perfect for all her sweet cravings. Deep-Fried Apple Pie tastes like the fairground favorite, complete with the flavor of juicy green apples, flaky pie crust, and decadent whipped cream. Joosylicious is a dessert e-juice of a different type, hitting the refreshing notes of sugar-sweet bubble gum with a touch of fruity flavor. Can’t spring for a surprise vacation to a tropical locale, but still want to give her an island-inspired experience? The VaporFi Crazy Colada Vape Juice Bundle captures the delicious flavors of an island holiday in two generously-sized bottles of premium-quality vape juice. A total of 120 mL of vape juice will set her up for plenty of tasty vape sessions, with her choice of Maui Menthol (tropical fruits and minty menthol) or Slushie (tasty colada, refreshing watermelon, and fresh berries). If a drive through the coffee line is a must in her morning routine, the VaporFi Coffee Lovers Vape Juice Bundle is perfect for a coffee bean buzz in the form of fluffy vapor. This vape juice bundle features two of VaporFi’s customer favorite coffee-inspired flavors, both earning top marks for flavor intensity and quality. Catch Ya Latte is a premium GRND RSRV e-liquid that combines all the best parts of a morning latte: rich espresso, sweet caramel and hazelnut, and warm steamed milk. The Raspberry Mocha e-liquid is also based on an espresso flavor foundation, highlighted with decadent dark chocolate and raspberries. Another dynamic duo comprised of highly popular VaporFi e-liquids, the VaporFi Decadent Delight Vape Juice Bundle includes two 60 mL vape juices inspired by the sweet indulgence of a dessert-inspired vape. Raspberry Mocha blends coffee with rich dark chocolate and sweet berries, perfect for a morning vape session when she’s craving something sweet. Bites Vanilla Caramel is like an ice cream sundae in a bottle, combining the intense flavor of vanilla ice cream with notes of caramel and Bavarian cream. Menthol is one of the most popular e-juice flavor bases out there, and for good reason. The minty flavor adds a refreshing boost to any vape session and plays incredibly well with a wide range of other flavors. 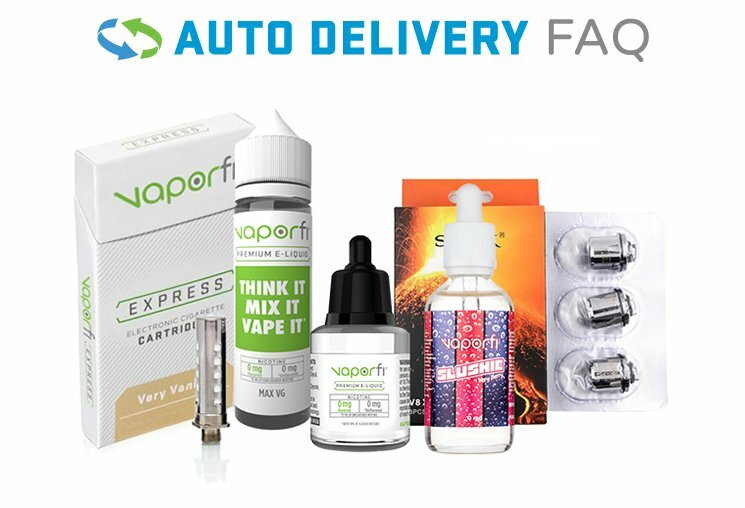 The VaporFi Menthol Lovers Vape Juice Bundle is perfect for the serious menthol devotee or is a great option for expanding her flavor palette to the possibilities of cool mint. This bundle includes three e-liquids in 60 mL bottles each (GRND RSRV Island Frost, GRND RSRV Maui Menthol, and Very Berry Slushie), totaling a generous 180 mL for lots of vape time. If she’s all about convenience and minimalistic style, a sleek vape pen will be right up her alley. For high-performance vaping anywhere and anytime, look no further than the Kanger SubVod. It’s incredibly compact and easy to handle, making it the perfect vape pen for keeping in her purse and pocket. Single-button operation provides the quick satisfaction of an easy vape session, without the hassle of fiddling with time-consuming set-up. If you choose the Kanger SubVod starter kit, you’ll also score the SubTank Nano S. With this high-end tank, she’ll have everything she needs for a top-notch sub ohm experience complete with huge clouds and intense flavor possibilities. Pass-through capability, wide-slotted adjustable airflow, and 1300mAh are among the numerous features of this versatile vape pen. With a handful of stylish color options including a super feminine pink and Tiffany-esque blue, the Innokin Endura T18 is a top-performing vape wrapped in a stylish exterior. It’s designed for the ultimate in comfort, perfectly sized to fit in the palm of her hand for easy use. A built-in 1000mAh battery and 14-watt potential is plenty to fuel flavorful, fluffy vapor clouds, while the 2.5 mL tank included in the starter kit holds just the right amount of e-juice. With a micro-USB charging cable, she’ll be able to easily power up the Endura T18 and get right back to vaping. If you’re hoping to impress her with a high-quality vape gift but don’t have a ton of cash to spend, the Eleaf iCare 140 is definitely worth considering. The starter kit will cost you less than taking her out for a nice dinner and provide far more enjoyment, with a vape pen carefully crafted for portability and extended vape sessions. It has a futuristic appearance and an extremely comfortable, ergonomic design, and offers reliable performance for a budget-friendly price. The 650mAh battery capacity is plenty for powering through all-day vaping, and the starter kit will set her up with everything she needs for a great vape experience. The ultra-portable, all-in-one VaporFi VAIO GO is a stylish, sleek vape pen that doesn’t disappoint when it comes to high-performance vaping. She can choose between mouth-to-lung and direct-to-lung vape styles with an easy-switch mouthpiece, and the 2000mAh battery gives a serious kick of power to this compact device. The direct voltage output is set up to reflect current battery state, optimizing battery life and making it simple to enjoy all-day vaping on the go. Atomizer options are varied, including a 1.5ohm MTL option (excellent restricted airflow) or a 0.5ohm DTL atomizer (wide-open and free-flowing). 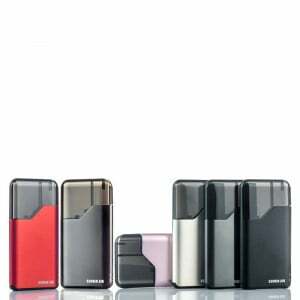 A large 3 mL e-juice capacity is surprising considering the device’s slim profile, keeping refills few and far between. The SMOK Stick X8 is one of the popular brand’s top-rated vape pen designs, with a slew of desirable features that come together to provide a vape experience unlike any other. This high-powered pen-style vape is backed by 3000mAh of battery capacity, with an impressive built-in battery that’s easily recharged using the micro-USB cable. The Stick X8 is uber-modern and stylish, with a selection of colorways to fit any style. Buying the Stick X8 as part of the starter kit option will also get you SMOK’s well-made TFV8 X-Baby Sub Ohm Tank, optimally designed for excellent airflow customization and massive clouds. Make sure she’s getting the most out of her cannabis-fueled experience by setting her up with a specially-designed dry vaporizer. The VaporFi Atom is one of the most advanced dry herb vaporizers on the market, offering unparalleled performance and convenience. Sized to fit comfortably in any pocket or purse, the Atom is designed with an intuitive LED light interface that communicates temperature levels at a glance. She can easily dial into her ideal temp settings, locking in for a flavorful, smooth vape. This vaporizer is also equipped with motion sensing technology that makes it incredibly easy to check the battery level – all she has to do it gently shake the device. Finally, smart features like the life preservation mode maximize the life and safety of the VaporFi Atom. If she’s looking for a discreet, super convenient way to enjoy her dry herb vape sessions, the VaporFi Air 2 Mini Vaporizer is all that and more. It works equally well for beginning and advanced vapers, minimizing frustration while upping the enjoyment factor. Versatility is one of the major strengths of this mini vaporizer, giving her the option to work with oils or concentrates without missing a beat. Because the all-in-one kit has everything she needs to get started, she’ll be able to enjoy a quality vape session right out of the box. Quality mesh screens are a must for any dry herb vaper, and this 5-pack will give her a solid backup supply for anytime use. The VaporFi Orbit Dry Herb Vaporizer Mesh is designed to prevent any residue from ruining her vape experience, keeping every vape session pleasantly smooth and flavorful. This budget-friendly pack is a great option for a stocking stuffer or “just because” gift that will make her smile. Nobody wants to give a gift that turns out to be a total dud, especially when it comes to vaping. Shopping with off-brand retailers can be a gamble – all too often, customers end up with cheaply-made knockoffs and wasted money. The special woman in your life deserves better than the imitation products and watered down vape juices from low-quality vape shops. Instead, shop with VaporFi to guarantee a vape gift that’s top-quality, well-made, and safe to use. Many members of the VaporFi team are passionate vapers, a shared interest that fuels our mission to provide customers with the best vape products at the lowest prices in the industry. We know that vaping is often more than just a hobby – it’s a lifestyle. At VaporFi, you’ll find a full selection of the top brands in the vaping community, including all the names that vapers know and love. Cutting-edge mods, unique vape juice flavors, and high-quality accessories and supplies stock our virtual shelves, making it easy to find everything you need for the ideal vape set-up. Plus, with customer benefits like free shipping, a money-back guarantee, and a great loyalty program, being a longtime VaporFi customer is a no-brainer. Check out the VaporFi line-up of great vape products for your next gift-giving occasion, and feel free to contact us for answers to all your vaping questions.